How does new music get heard? With hardly any avenues to help swim the mainstream today, a great singer or song can still connect by playing live and letting word of mouth do its job… can’t they? Of course they can. And White Little Lies are living proof. By Alan O’Hare. 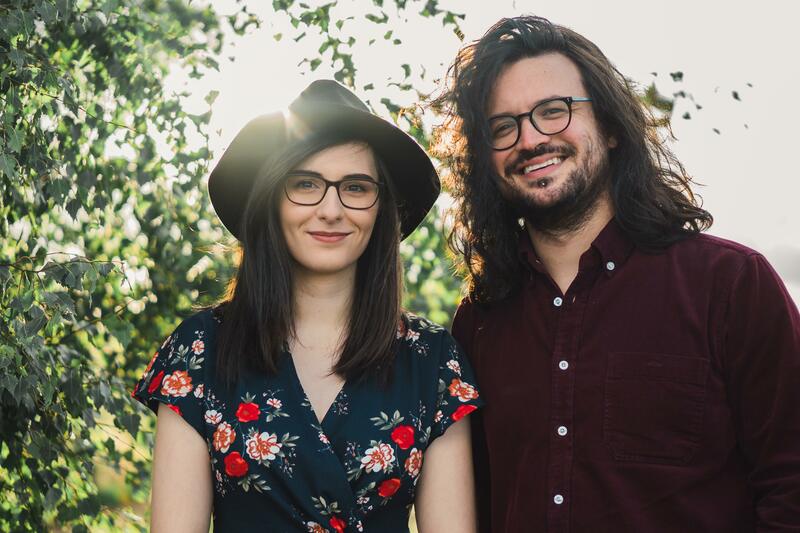 “There are times when I can’t get you out of my brain,” sings Vanessa Murray on ‘Hurricane’, the first shot across the bow from country and Americana duo, White Little Lies. It’s funny, because the chorus that contains it occupied itself inside my head for days when I first heard it, too! White Little Lies are like that themselves, all rapid rhythms, harmonious hooks and infections idiosyncrasies that have helped them stand out from the crowd. … see? Their secret is revealed there in that last high harmony before the chorus returns like an already-long-lost friend. It’s melodic, mournful and masterful in its craft and the dynamics and delivery (on a live video don’t forget) are perfect. It’s early days, and White Little Lies have yet to release a record, but the signs are good. They could take a full band into the studio and deliver an EP or album full of zeitgeist Americana or be brave and stay true to what’s carried them to the precipice so far: that close harmony and acoustic delight. Whatever, the likeable duo are on the right track to making a big noise. It’s not just the debut song that’s got me purring, though. Etc. can exclusively reveal the gentle ‘Young Love’ today and it’s another cracker. A forgiving finger-picker that rolls and tumbles along on Saleh’s dexterous melody, the top end shines whilst his singing partner tells a clement tale of love and loss. “I took too long to think,” sings Murray and, when those harmonies kick back in, I can’t help feeling that the producers of ‘Nashville’ will be kicking themselves for killing the series a little too soon.